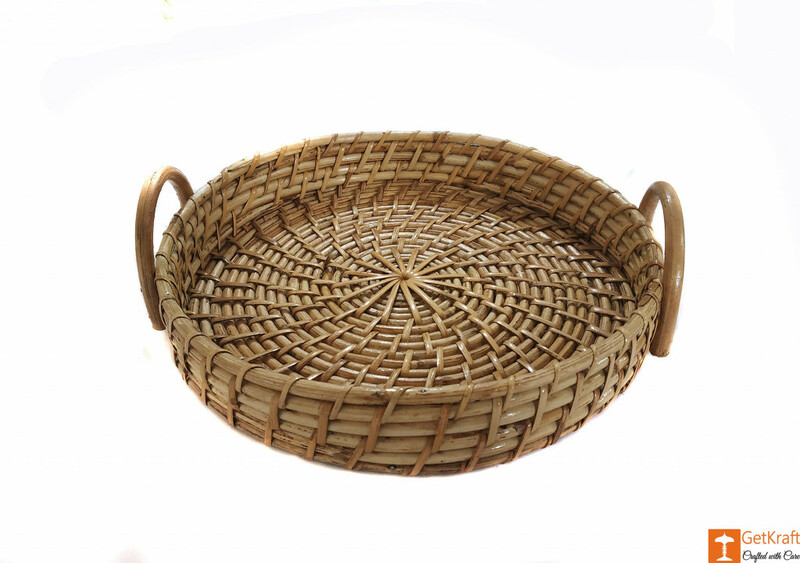 A serving tray, handcrafted, is round in shape and has two curved handles on each side for proper handling. 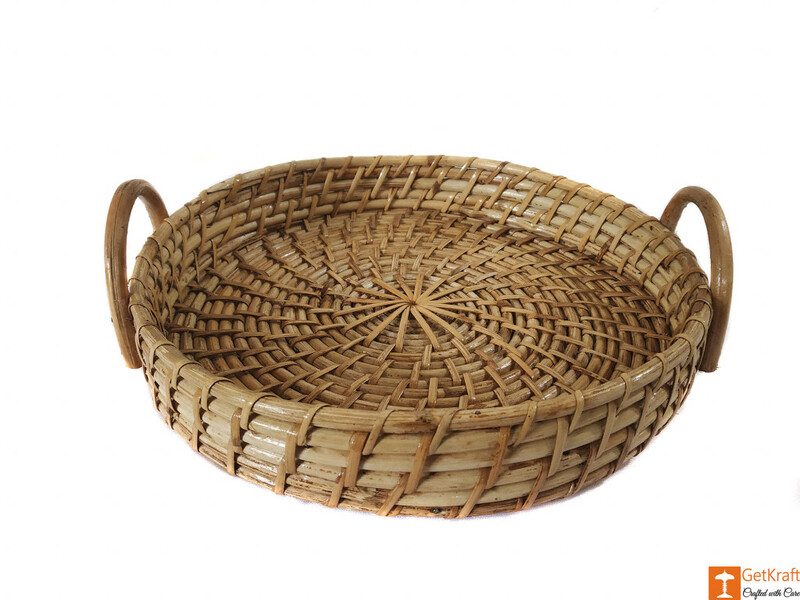 Ideal for everyday use, this tray is made from Cane, which gives your space a natural touch. 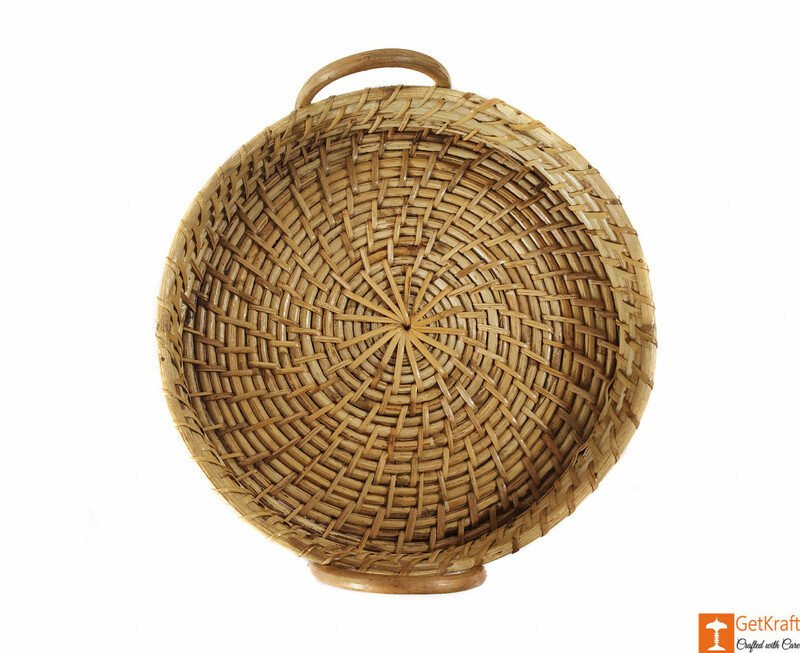 This can be a part of your home or office decor.